How the Sausage Gets Made: Play Selection! There are many questions from members on how the board chooses shows, directors, and producers. What happens behind the curtain, oh great and powerful Oz? Actually, not much magic to it, but there is plenty to share with you, our members. So, we are starting this multi-part series on “How the Sausage Gets Made” that sheds some light on the backroom of the Italian Cafe’ among the many interests, experiences and desires of a 15-person board. So much to tell, and so interesting (at least for some, perhaps). But first, who is on the board you ask? Well, it’s in every playbill we produce, but feel free to click on the link to see the most updated list of officers and directors. The first topic is “play selection.” What an onerous, daunting, exciting and most important task we take on (in my opinion). The board is responsible for putting together a season each year, and it starts with the Play Selection Committee. Yes, that’s right. We have a committee dedicated to putting forward ideas on scripts, new works to consider and actively reading plays all year round. It’s a significant commitment of time, and we are so thankful to the individuals dedicated to this effort each year. 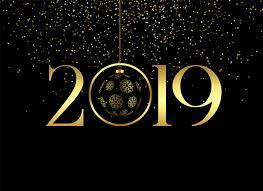 This year, the committee consists of: Mike Daze’, Jimmy Gertzog, Beth Gilles-Whitehead, Jayne Victor and Roxanne Waite. Is it artistically interesting or challenging, and would we enjoy producing it? Do we think it will be interesting to our audience, and will they come see it? Is it marketable as a “season,” and can we afford to produce it recognizing the balance between selling tickets and producing shows that stretch us as a company? What happens after plays are selected? Oh, there is more to do. Because…there is a process of getting the rights. Just because you want to do a play doesn’t mean you get the right to do it. Sometimes, rights are not given because there is some plan to do it on Broadway, or make a movie of it, or the rights aren’t available in the United States, but only in the UK (for instance). Once rights are acquired, than we have a season. This process takes all year, but a real dedicated effort on behalf of the entire board for about three months of real focus. Even then, we don’t always get it right, and we’ve had to revise our season, or replace a show with another. It doesn’t happen very often, but it happens. As always, we welcome any input on the information above, or improvements on the process from our members. 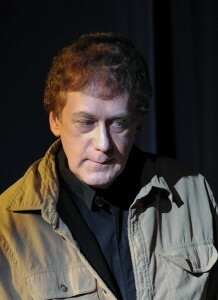 Mike Daze’ is a founding member of PPF, and has held positions on the board as Treasurer and Vice President. 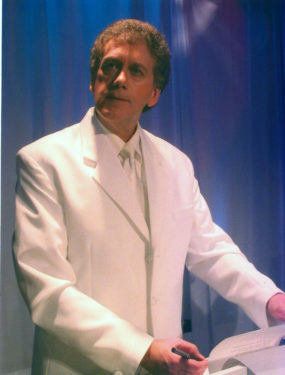 He has acted in many shows, including “Heaven Can Wait,” “The Laramie Project,” and two productions of “You Can’t Take It With You,” among others. 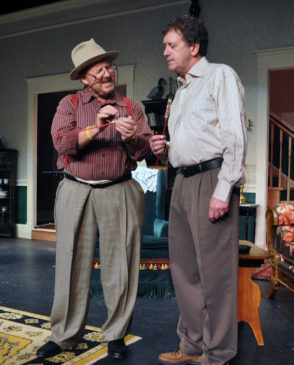 “More than 20 years ago, a group of parents in the Mantua community had gathered together to mount a production of You Can’t Take It With You to benefit the PTA at Mantua Elementary School, and they asked me to join them to play the role of Paul Sycamore. I’m really glad they did! 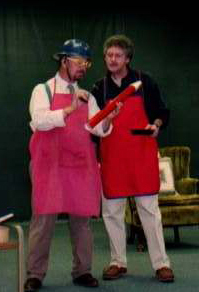 Joe Gargiulo and Mike Daze’ as Mr. DePinna and Paul Sycamore in PPF’s inaugural production of “You Can’t Take it With You” in 1998.
number of plays on the Frost stage, including an original musical developed by Susan Devine, who had directed You Can’t Take It With You, and Paul Nasto. 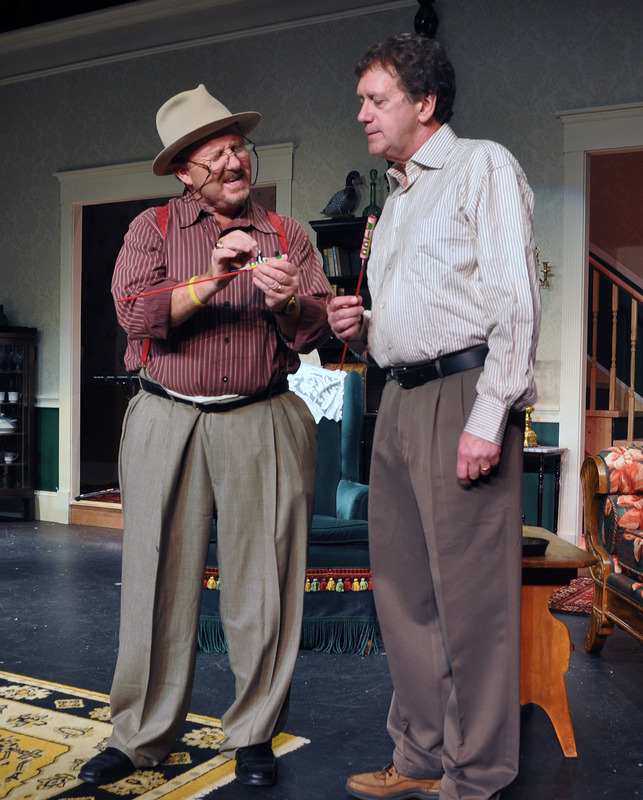 It became clear that, as the group expanded, it was ready for the challenge of establishing a new community theater organization, and the Providence Players of Fairfax company was born. I’ve always enjoyed going to the theater. Growing up in western Massachusetts, I looked forward to the summer stock shows produced by the various companies in the Springfield area and the Berkshires. Unlike other PPF members, however, I didn’t become a theater major but pursued an undergraduate degree in science and went on to law school. For me, being part of a community theater was the best of two worlds: I was involved in theater and I could bring skills to the table to help run a small business. 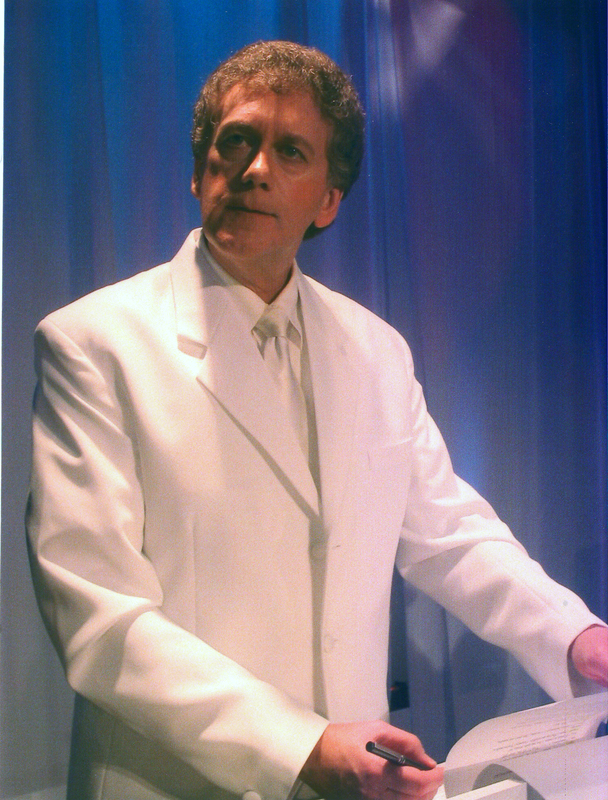 I’ve had my share of parts on the PPF stage, and particularly enjoyed reprising the role of Paul Sycamore in 2012, but I’m more comfortable working behind the scenes. I’ve served several terms on the company’s board of directors, currently vice president, following a three-year stint as treasurer. Another favorite role has been that of box office manager, playing host to all the wonderful people who subscribe to an entire season or just come to see an occasional show. Without their continuing support, PPF would not have become the successful company that it is today. It is just a few days away. If you are an active member or current donor, please join us! If you need to renew your membership or make an annual gift, you can do either online. Simple and easy. We will also take member dues and donations at the door. Either way, join us for the New Year celebration. It’s going to be a great event! Membership dues for individuals will increase from $10.00 to $25.00 per year – still a deal. PPF has added a family membership for families of three or more – flat rate of $60.00 (so all members of the family are considered members). Membership renewal will take place during the month in which you joined (no longer based on the season schedule or annual meeting). Members will receive a discount on all PPF events that require an entrance fee (e.g., opening night events). Members will be offered opportunities to participate in workshops scheduled during the year (a new offering in 2019, and the schedule is already coming together). Members will be offered the chance to provide input on plays for season consideration. Members will be offered opportunities to provide input on PPF productions. In January, members will begin to get a reminder to rejoin, and you can do it right on the PPF website. Quick and easy. No muss, no fuss. If you think your membership is lapsed, you can even do it today. Check it out! Don’t remember? Just send an email to members@providenceplayers.org, and we are happy to let you know whether your membership is current. If I renewed at the annual meeting, am I still a member? Yes, your membership is good until June, 2019. In recognition of the long winter lull, we are bringing to you some photos of the winter show slot. This particular time slot in the schedule usually includes our most artistically-daring productions, as well as some comedy favorites. Click on the image to enjoy the full collage. Enjoy! 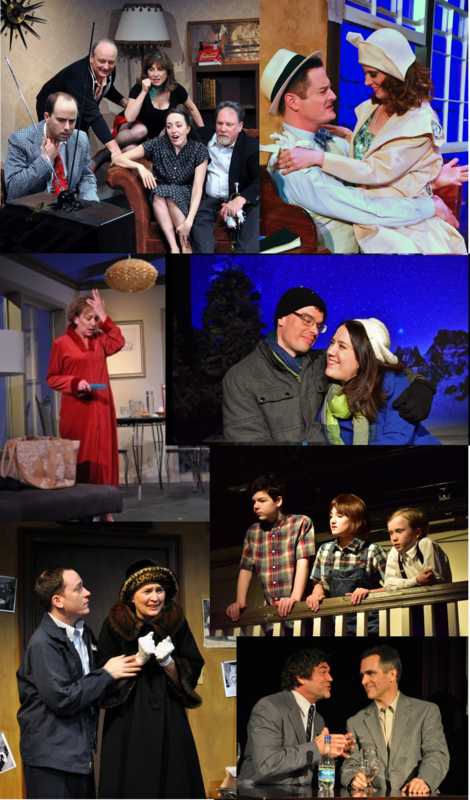 (Top to Bottom, L-R) from “Side Man” (2012), Bobby Welsh, Craig Geoffrion, Tina Thronson, Andra Whitt and John Coscia; from the “Front Page” (2018), Chuck O’Toole and Jaclyn Robertson; from “Other Desert Cities” (2015) Barbara Gertzog; from “Almost Maine” (2016), Chris Crockett and Amanda Ranowsky; from “To Kill a Mockingbird” (2017), Brendan Dure, Sophia Manicone and Caden Mitchell; from “House of Blue Leaves” (2014), Adam Downs and Beth Gilles-Whitehead; and from “Dinner With Friends” (2013), Michael Donahue and David Whitehead. 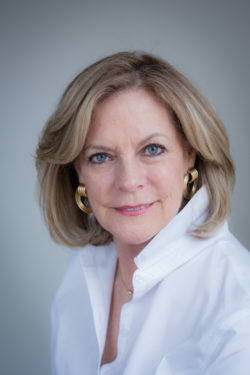 Congratulations to Susan Garvey in her new role as Executive Director of The Shepherd Center. Welcome new member, Danette Illig.